As a bedside monitor from the well-known manufacturer Philips, the MP50 Intellivue Monitor provides the quality of care hospitals need. As with the MP30 Monitor, this comes with a touchscreen and the standard networking capability. 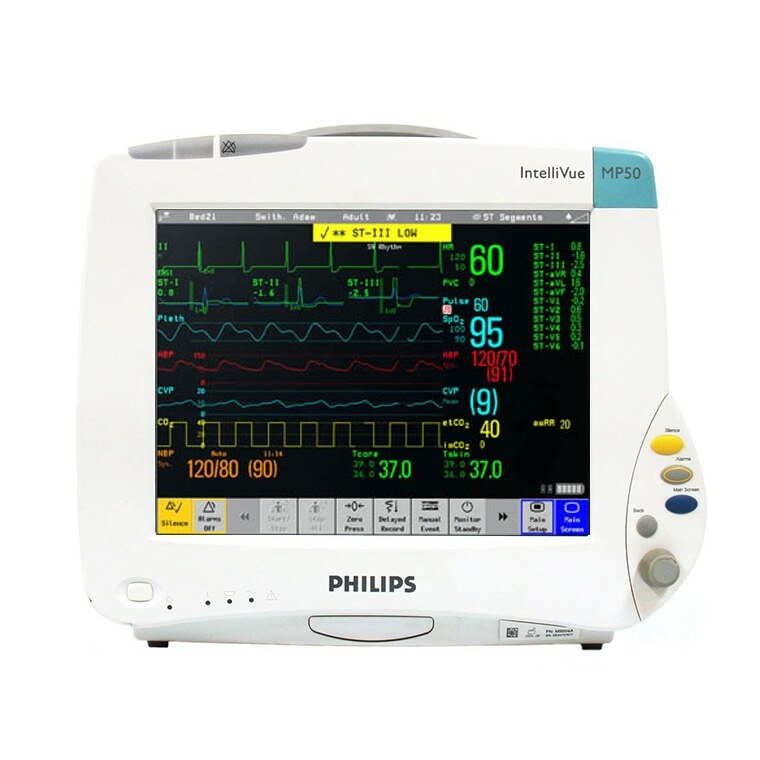 It has been designed to be easy to carry and transport between patient rooms while providing easy access to valuable patient data.